The Flite Test Simple Scout was designed with the same vision as many of our other Simple Series planes. Quick and easy build, Easy to y, and able to grow with the pilot in both skills and features. This Fun Scale WW1 reconnaissance plane carries many of the features that were common on many of the Iconic aircraft of the 1920’s. This makes it easy to paint it up like a wingman of the red baron or as one of its British adversaries. Our goal with The FT Simple Scout is to introduce both a great way to learn to fly and also many fun activities like combat and flying FPV from the open Cockpit. the existing wings. As a 4 channel aircraft, the same stable flight can still be experienced, but now aerobatics, flaperons, and all the classic barnstorming maneuvers like loops, rolls, inverted flight, and extreme slow flight. Even with its most advanced setup, the FT Simple Scout will still stall gently with wings level. Our favorite activity with The FT Simple Scout is to install and optional FPV set-up in the open Cockpit. This gives the pilot the satisfaction of flying from the same perspective as you were in the plane yourself without compromising visibility to safely fly. If you are new to this great hobby, looking for a fun activity with your friends, or want to go back in time with an iconic blast from the past, we hope the FT Simple Scout is a source of many happy memories and a gateway to many future pilots finding success in flight. Thank you for your support and happy flying! Chose this as my first speed build kit from FT. Following the the build video makes this easy and enjoyable. Great explanations for those beginners just getting into the hobby. As for the plane, this model flies as docile as a tainer cub, yet with the "B" power pack, has lots of power to play with. Launching is easy and very scale-like and landings are gentle. Well designed and fun flier. I have bought two of these (after crashing the first one about a dozen times). I decided to buy a second one because they are so fun to fly! They are excellent starter planes. I highly suggest it for beginners and advanced pilots alike. Overall the plane is sturdy and withstand several crashes. The only problem I have with these is the landing gear. The landing gear tends to "move" after after flying it 20+ times. It is easily fixed with more foam/glue. 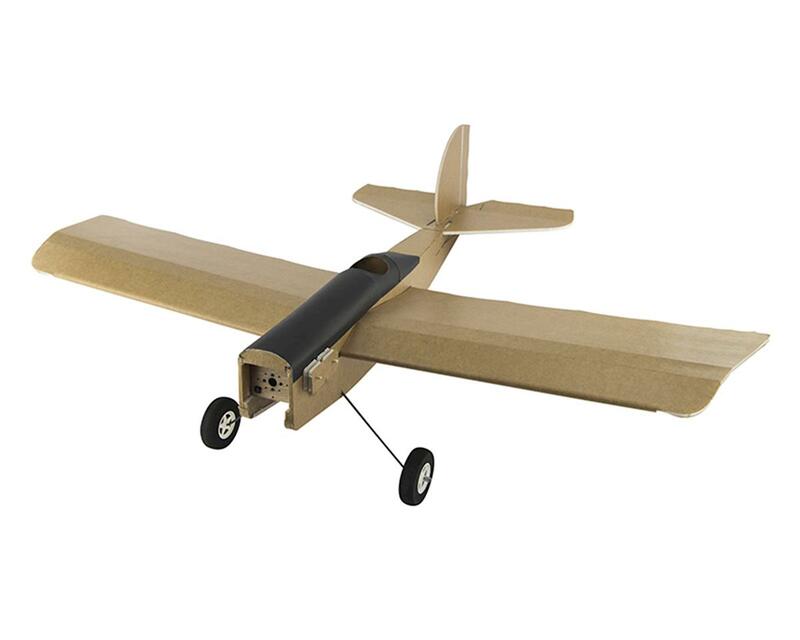 This is a nice flying foamboard plane. It flies very similar to the mini scout, but more room to experiment with removable landing gear, floats, etc. I think I would definitely recommend it over the Simple Cub for a beginner. Still quite stable and docile, but it stalls much more predictably and gently than my cub. I got a 29 minute FPV flight on a 3s 2200 mAh while cruising around with the old B pack motor. Haven't tried it with the C pack motor yet, but I'm guessing it will be a blast. The downsides compared to the Cub is that the wing is not removable, so it's a little more cumbersome to transport. It takes up a considerable amount of room in my hatchback, so I don't think I'll be bringing it with me on vacation. Not my favorite plane for FPV since it's got a big 10 inch prop on the front, but it does fly gentle and smooth even without a flight controller. I love this plane I would recommend it for everyone just make sure you fly it right or you are gonna have to modify it like me witch soo it will look a lot more like the FT Explorer than the simple scout.